If you follow me on Facebook then you got to see these pics on Sunday. Saturday and Sunday were Canning Days in our house. We had so many cucumbers from our garden that it was time to do something with them so they didn’t go to waste. 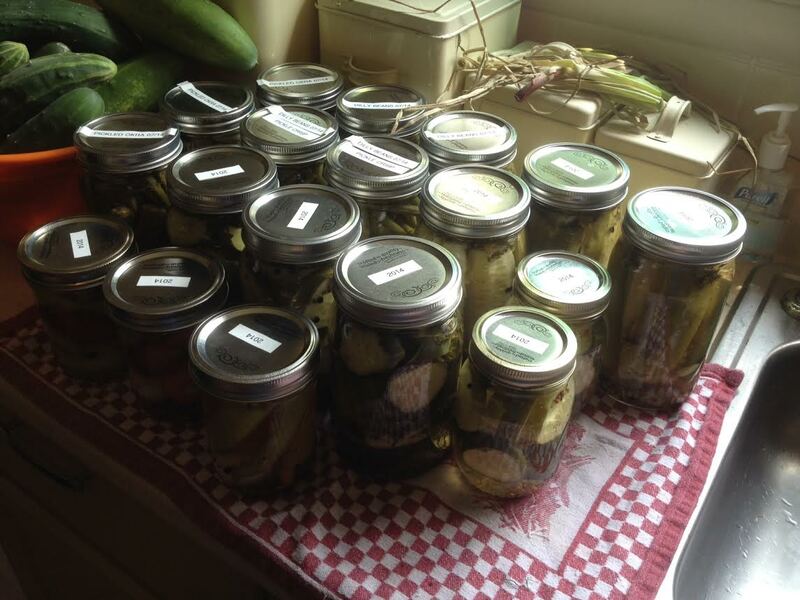 After visiting the farmer’s market on Saturday and buying okra, green beans, and dill, we made several jars of pickled okra and dilly beans, and then a few jars of pickles. Despite my mom always using fresh grown dill, we opted for the dry. But the dill I bought did not go to waste. I dried it in our food dehydrator and stored it for more canning later. On Sunday morning, we picked black berries with our neighbors. 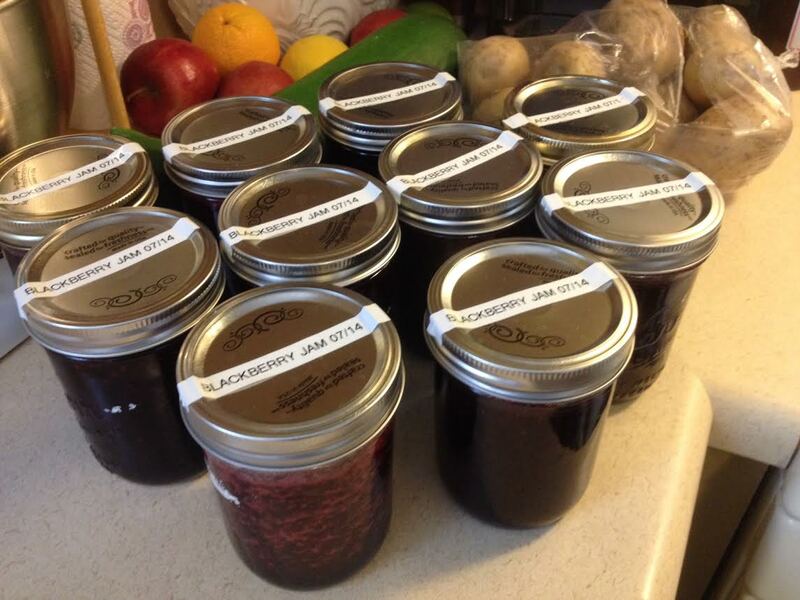 Then we came home and made 10 jars of jam. Then we made more pickles. And we pickled the onions and peppers that you saw in yesterday’s photo. Next up with be more pickles and some tomato sauce once the tomatoes ripen. Needless to say, we were exhausted by the end of the day on Sunday, but we were proud of all of our work. It will be quite yummy this winter!